According to a recent survey released by Ubiquity Retirement + Savings — a leading fintech company whose mission is to help every small business employee save for retirement — 80% of Americans say that saving for retirement is critically important. However, only 56% of Americans actually are. National Retirement Security Week, held during the third week in October, is a dedicated effort to raising awareness and helping individuals take concrete steps towards a secure retirement. The weeklong observance was initiated in 2006 after U.S. Senators Gordon Smith (R-OR) and Kent Conrad (D-ND) introduced a resolution for its creation. 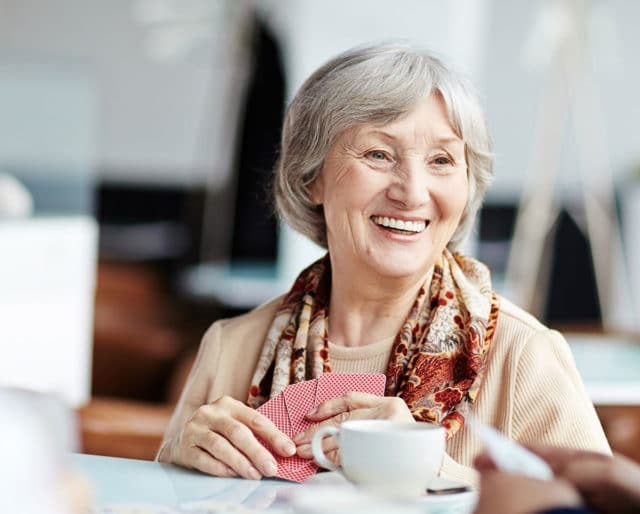 Beyond elevating public knowledge on the subject, those leading National Retirement Security Week encourages employees to speak to a retirement plan consultant or expert, and participate in an employer-sponsored retirement plan if available. By unanimous consent, the Senate votes to designate the third week in October as National Retirement Security Week. U.S. Senators Gordon Smith (R-OR) and Kent Conrad (D-ND) introduce a resolution to establish the weeklong observation. Ubiquity Retirement + Savings discovered that 32% of Americans didn’t start saving until they were in their 30s, and another 13% waited until their 40s to prepare for retirement. Don't wait any longer, start saving now. Nearly 60% of Americans say they have a workable knowledge of how their retirement vehicles operate, but 30% say they don’t know much about how their's works, if anything at all. Find a consultant or expert who can guide you through the details and works closely with you to develop a retirement strategy that meets your needs. Most money-related issues are tagged with a me-first mentality, but preparing for retirement should never be viewed as a competition — National Retirement Security Week is the result of a bipartisan effort, after all. Whether you share a post about the week on your social channels, ask your friends if they are on track for a secure retirement, or set up a meeting at work to discuss retirement planning with your coworkers, just do your part to get the word out there. Have your contributions automatically deducted from your paycheck to guarantee that you're saving. If you're over 50 years old, you can save an extra $6,000 per year tax deferred. Choosing a more aggressive investment strategy early will quickly grow your nest egg and give you time to recoup if the market takes a dip. If your company offers to match your contribution up to a certain percentage do it. It is free money and as Ubiquity Retirement + Savings CEO Chad Parks points out, that match can be tax-deductible for your employer. While we don't think it's practical to plan out every aspect of one's life, looking forward when it comes to saving money is imperative. While there's nothing wrong with using welfare if you absolutely need it, but it shouldn't be your only choice in terms of financial support during your retirement years. According to Ubiquity Retirement + Savings, 66% of Americans are worried that they won't have enough money saved up by the time they retire. These concerns aren't unjustified. 1 in 3 Americans currently have less than $5,000 saved — an amount that would last a few months at most depending on location — and it is predicted that half of Americans won't be able to maintain their standard of living once they retire. While 28% of Americans take full advantage of their company’s retirement saving options, 20% aren't even offered a plan by their employer. This week is here to help guide those individuals to alternative solutions, like an Individual Retirement Account (IRA).